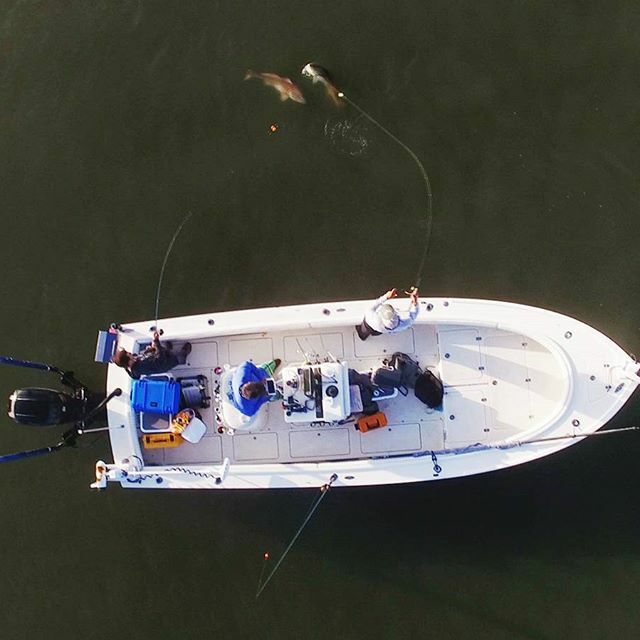 My boat is a 23′ Dorado Bay, which is built right here in the Tampa area and is the top choice for many guides in the Tampa Bay area. 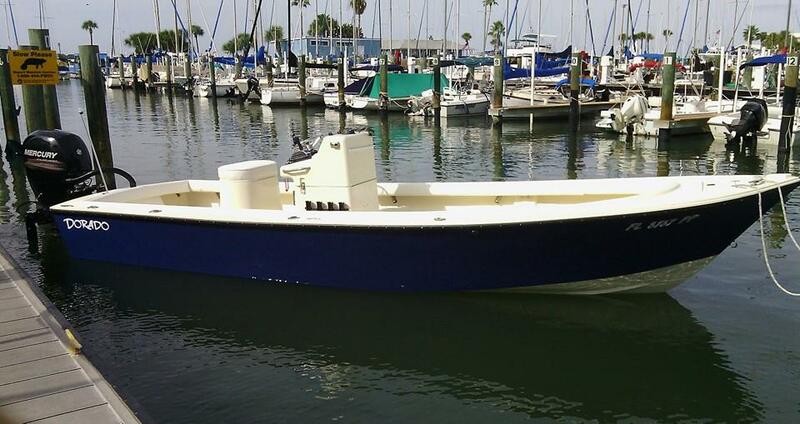 The boat is designed for running the shallow flats as well as crossing the rough open bays safely,Thus making this a perfect boat for guiding or cruising here on Tampa Bay. 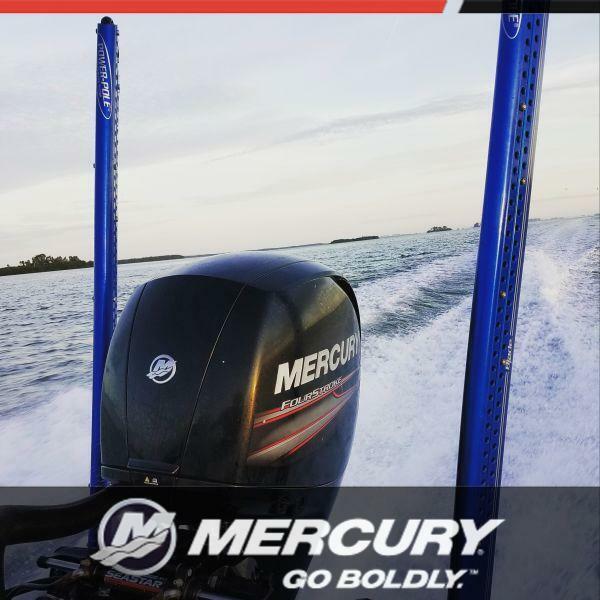 My Boat is currently powered 2016 150 Mercury 4 stroke outboard. The boat also is equipped with two Yeti coolers, which are for holding your drinks and lunch or that monster catch, or a nice seat with cushioned Tops! 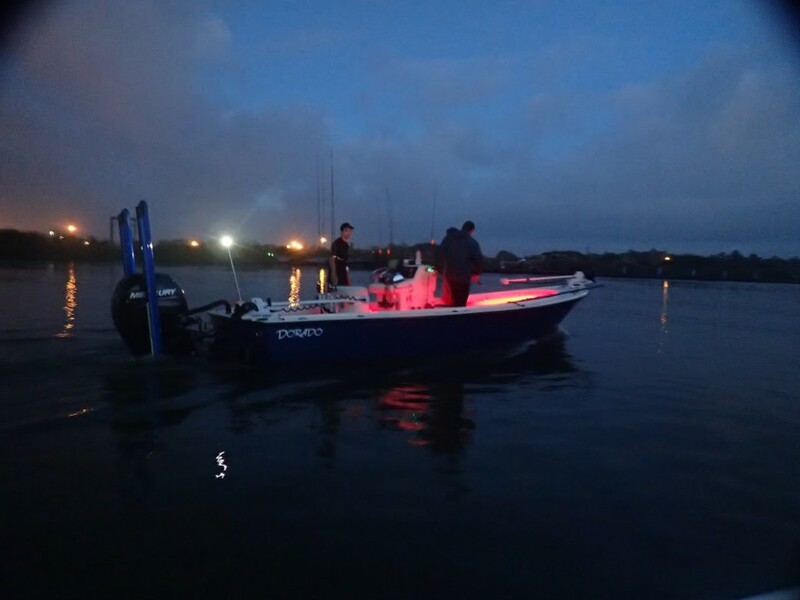 My boat also has the latest electronics from Lowrance, I am running a HDS Gen-2 unit with side imaging, which is perfect for tarpon or wreck fishing. The boat also equipped with a 101 36vlt. Minn-Kota rip tide I-pilot digital trolling motor, perfect for quietly slipping up on the fish and boat also has dual 8′ Power-Pole to stop in the perfect position in seconds. There is a Bimini top available upon request, often it is on during the summer months. Boat also has a 45 gal. livewell to hold plenty of bait for a day’s fishing. The boat will fish up four anglers comfortably, and up to six passangers for sight seeing tours. The boat is fully self-bailing, and is U.S.C.G licensed and Insured vessel. All my tackle is top quality and is serviced annually if not replaced annually, to ensure that you have an enjoyable day on the water. Inshore tackle : The rods I am using are 13Fishing 7’2 and 7’11″medium action rods, and 3000 size reels spooled with 15-20lb. braided Power-Pro fishing line. Tarpon Tackle: When it comes to fishing there is no tougher fish, harder pulling fish than a Tarpon. That’s why I am using Van Staal Saltwater reels, and the tuna jigging rods. When Plug fishing we are using the 7’6″ models and for beach and pass fishing I am using the 8’xxh models. Fly tackle: For the Fly anglers that choose’s not to bring their own equipment, I provide top of the line fly rods and reels. 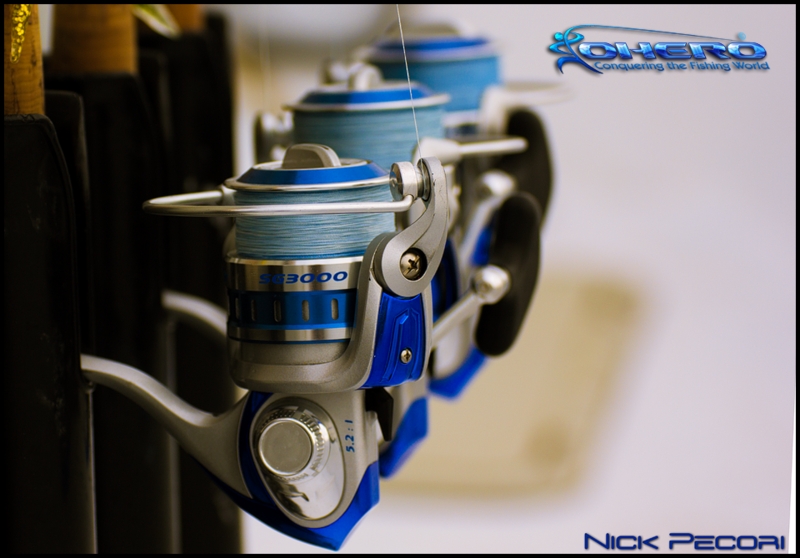 The fly reels that I am using are Cheeky Fly reels in the 8, 10 and 12 wt sizes for Trout up to Tarpon. The rods I am currently using are G loomis crosscurrent rods in the 8-12wt size. I have rods with both floating and sinking lines depending on the species or scenario.